A great personal or corporate gift option. 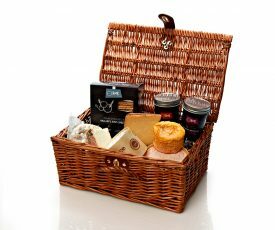 A selection of artisan cheese classics nestled cosily in a beautiful wicker hamper with biscuits, organic chutney and Pong tasting notes. 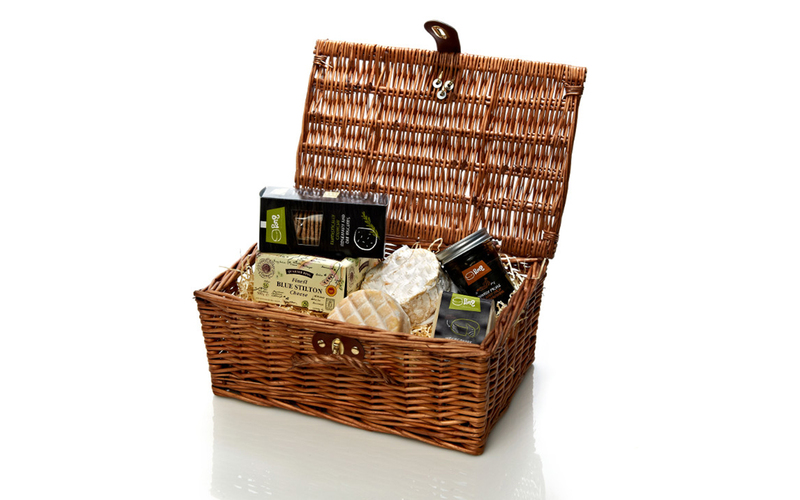 Beautiful selection of Cheeses in a Proper Hamper! Delightful gift to receive..and such a great idea to give! 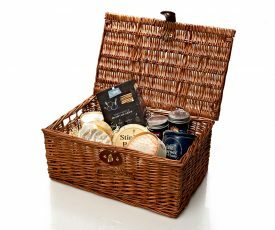 I bought the hamper as a wedding anniversary gift for my parents. They are difficult to buy for and I thought this was a change from chocolate or flowers. They were absolutely delighted! The gift was delivered within 2 days of the order,beautifully presented and the cheeses were all stunning.I was kept well informed of the progress of the order. I have just ordered another one for my daughter and will be using you for Xmas gifts. Thank you!